Insurers who win will do so by investing in changing mindsets, processes and building cultures that foster change thus leveraging technology’s full potential within their organizations. Culture and technology are evolving faster than businesses have the ability to adapt. This condition dubbed Digital Darwinism is threatening the existence of most businesses in almost every industry. Survival for the fittest is becoming all too real as businesses are compelled to continually reinvent themselves in order to improve their chance of survival. The insurance industry is no exception to this barrage, as a new breed of digital customer demand a shift towards more innovative ways of interacting and engaging with their insurance carriers. Beyond the new customer are the external pressures of a constantly changing regulatory landscape, an increasingly volatile market and new competitive forces from within and without the industry ramped up by new technologies. All these changes have deep implications for the insurance industry not least of which is the need for insurers to reshape their value chain and transform their operation models. Through digital transformation insurers have the opportunity to optimize their operations to take advantage of shifting market dynamics and achieve competitive differentiation. Digital transformation is less about the technology itself and more about how that technology can be integrated into the entire insurance value chain. It goes beyond cosmetic changes to product-lines and distribution channels to encompass the strategic realignment of the organization’s resources for growth and profitability. For the insurance industry, a major component of the digital transformation process will involve the re-imagining of their core systems. Core insurance systems are at the heart of an insurers’ business, driving their back-, mid-, and front-office processes. Unfortunately, some of these systems are ancient and entail a veritable spaghetti web of disparate solutions from custom-developed software to commercial off-the-shelf packages purchased over time to meet certain business needs. Having also been subject to incremental enhancements over the years and lacking precise documentation, this systems have become extremely complex with their maintenance being difficult, time consuming and costly. Emerging technologies that are pivotal to digital transformation are highly dependent on the underlying data and processes that these core solutions enable. These new technologies need to integrate to and process data that resides within those legacy systems. This can prove to be a daunting task due to incompatibility and accessibility problems. Thus, transforming the core systems helps establish the foundation upon which digital transformation can be launched. 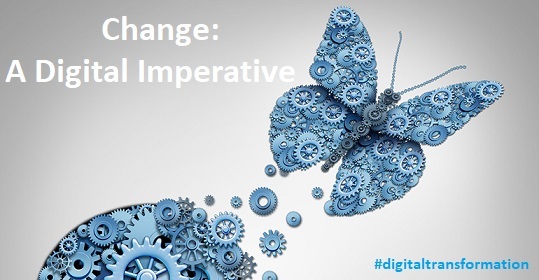 Beyond core transformation is the need to adapt a strategic and integrated approach. According to MIT Sloan & Deloitte, a clear and coherent digital strategy combined with a culture and leadership poised to drive the transformation separates digital leaders from the rest. Insurers who win will do so by investing in building organizational capabilities, including changing mindsets, processes and building cultures that foster change to leverage the full impact of technology within their organizations. Digital transformation is the gateway to enhancing performance both internally – through automation and improve efficiency – and externally – through improved speed to market, superior products and exceptional and highly relevant customer and agent experiences. Therefore, insurers who engage in digital transformation will be able to streamline their business activities and processes while at the same time developing the essential competencies and capacities to be more agile, customer-centric and innovative. 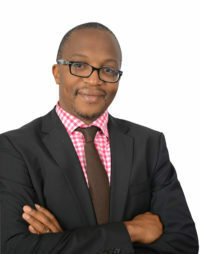 Shikoli Makatiani is the Chief Technical and Operations officer of Turnkey Africa Ltd. He has over 20 years extensive experience in software engineering and product development. Shikoli is a technology visionary with a strong strategic view of the emerging trends shaping IT and business and a consummate expert in aligning technology with business goals.